Half way through making bagels, for my first time and Steve‘s second time, we decided to crack open Steve’s Baking and Pastry: Mastering the Art and Craft published by the Culinary Institute of America. Our bagels may not have been as bucky as they should have been because we didn’t mix and shape them according to the instructions in the book. They still turned out good, and we will try them again with a bit more knowledge next time. It was fun to punch a hole in the dough and stretch them into bagel shapes, not the way to do it according to the book. They suggest making a long piece and shaping into a ring. Still, even bagels that resemble donuts taste good! 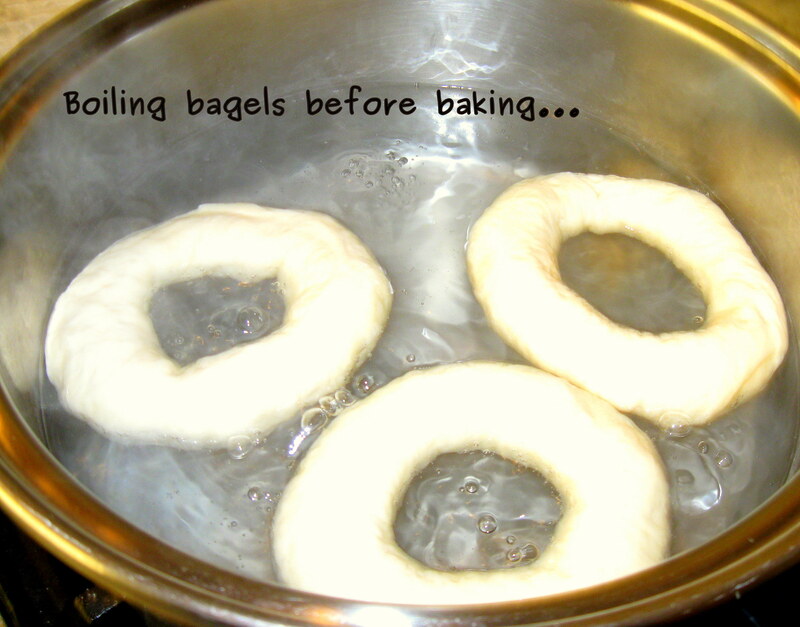 Have you ever made bagels? Any bagel tips to share?